Reshape your field sales hiring to ensure candidate quality. Talview helps organization to screen a lot more candidates than traditional method and also help them review candidate quality centrally before an offer is issued. 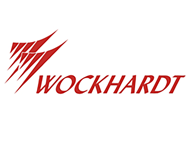 Please fill the form to learn how wockhardt Pharma has used Talview to re-engineer field sales hiring. Once you submit, you will recieve an email with the case study attached.